LACES is an educational programme which was developed in 1994 by Charles Young. 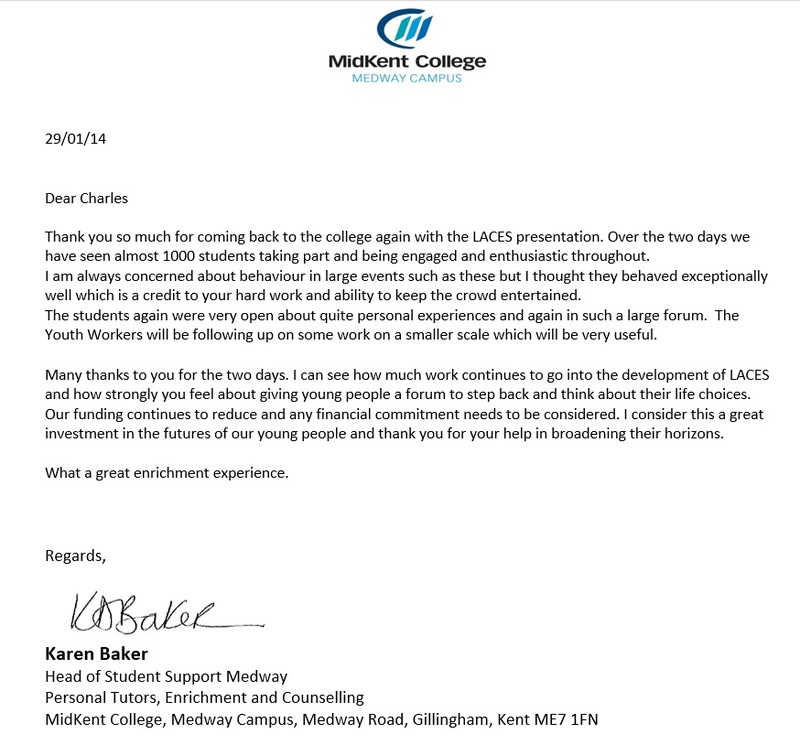 It offers educational and practical support to vulnerable young people of all ages. 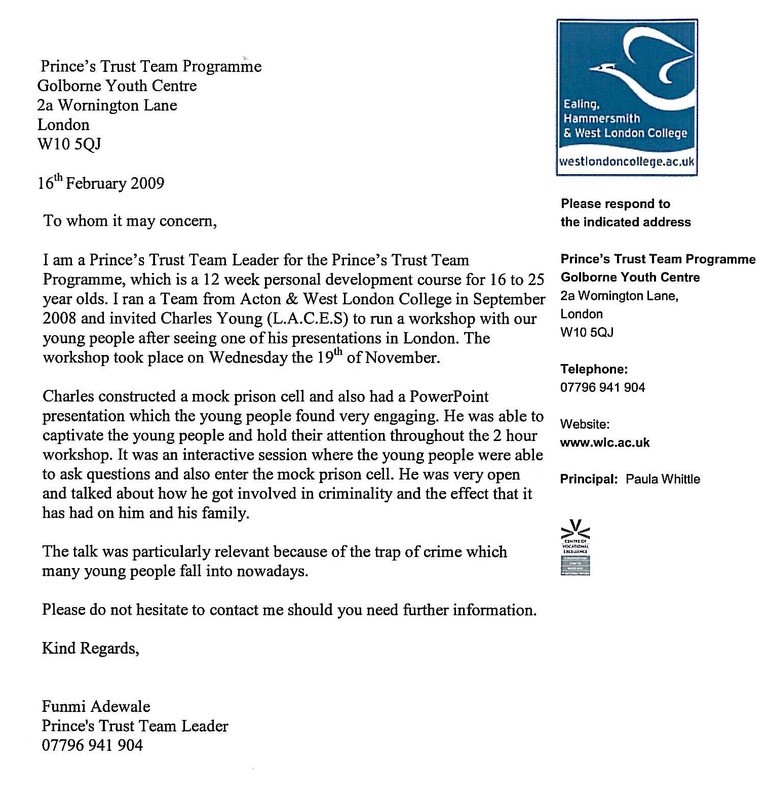 Since 1994, Charles has spoken to thousands of young people on the subject of Drugs and alcohol and how a life of crime can affect individuals, their family and friends, and the victims. 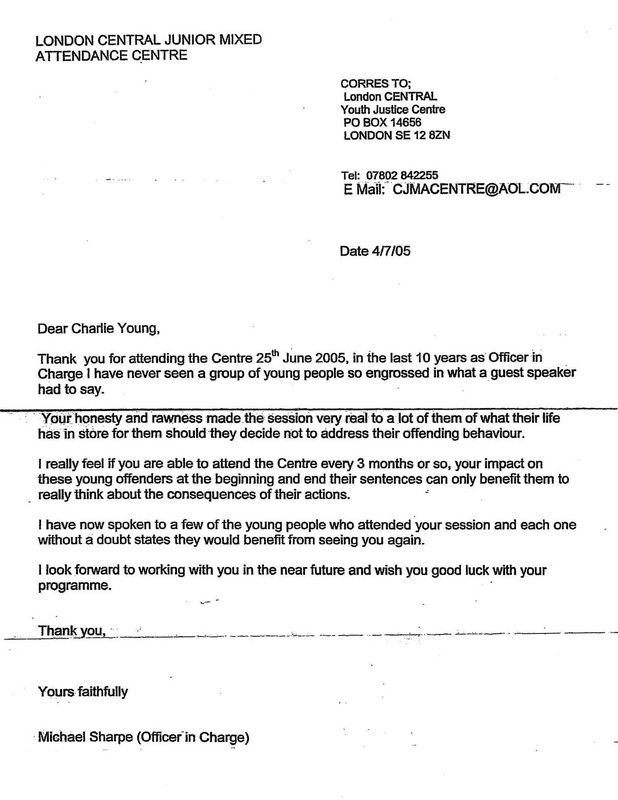 Charles' message is clear and simple "Don't Follow a criminal path as I did". Someone has to give young people a chance, says ex-prisoner and founder of Laces, Charles Young. Photograph: Martin Godwin for the Guardian Charles Young, arriving smartly dressed at his office in south London's Blackheath, is the epitome of respectability. He straightens the collar on his black leather coat, under which is a crisp white shirt. 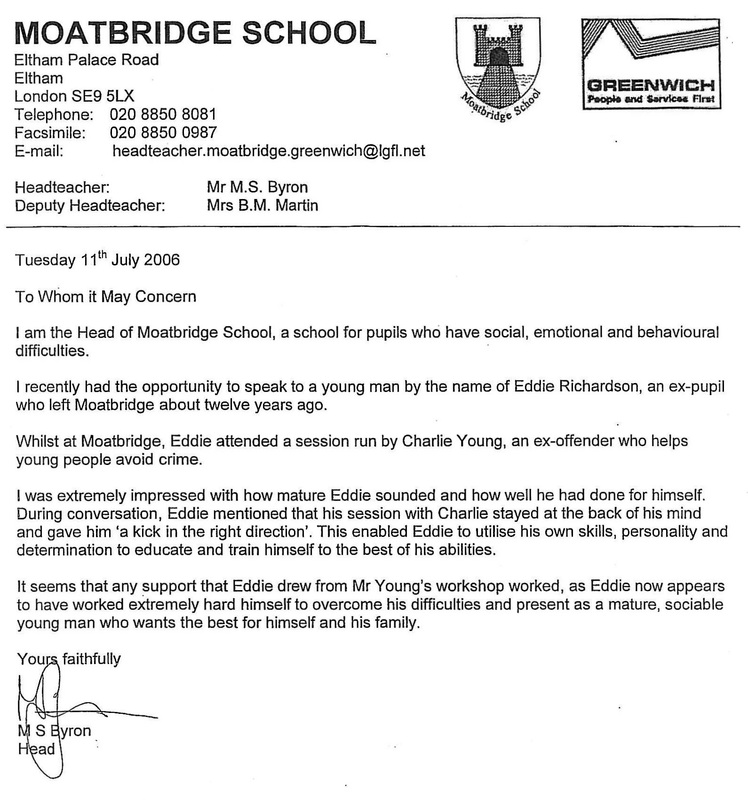 Young, who is fast becoming one of London's most well-known ex-offenders, finds it hard to take a compliment. "Christ, black coat and white shirt, I look like a screw," he says with a toothy laugh. 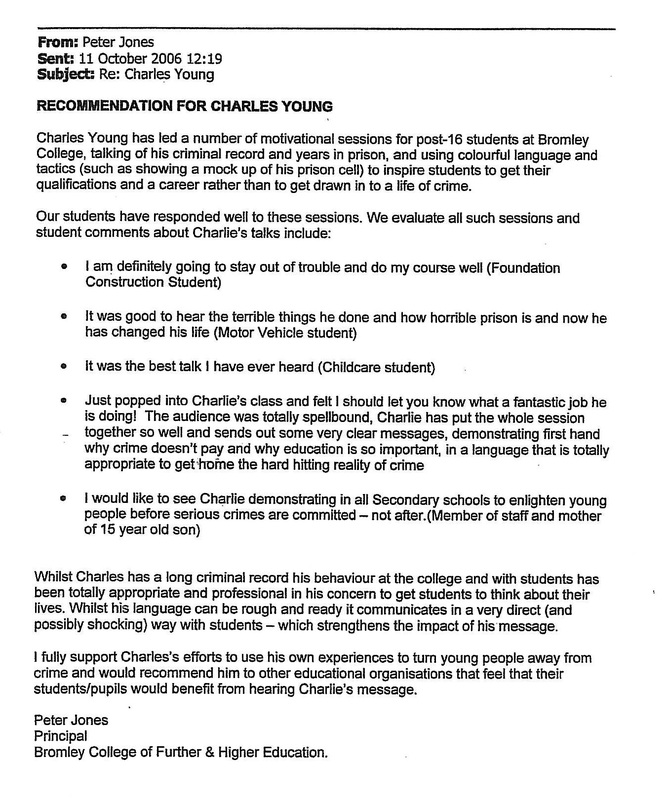 It has been 17 years since Young’s last stretch inside, six months in a single cell at Elmley prison in Kent. With over 40 convictions for robbery, fraud and burglary, he clocked up around 15 years behind bars between the ages of 19 and 40. 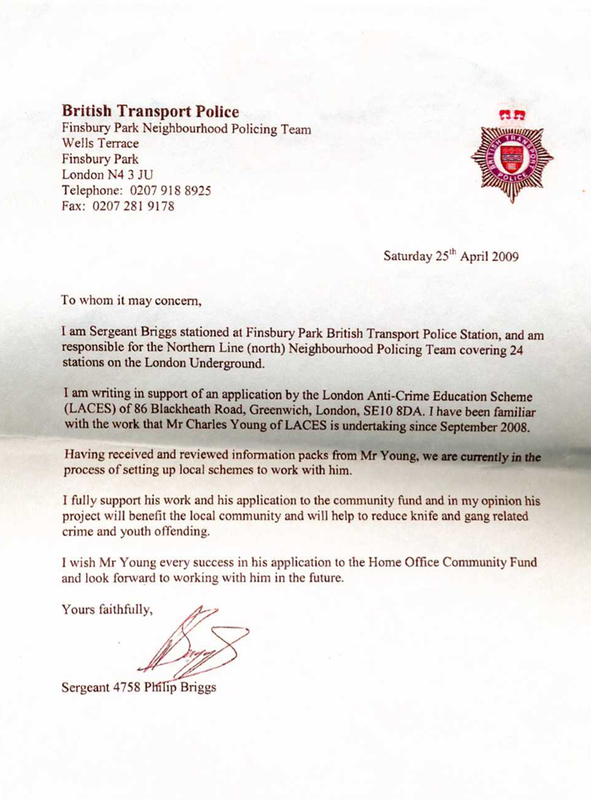 Since his release, and inspired by a television programme he saw inside about an ex-con in Glasgow talking to schoolchildren about jail, Young has used his experiences of prison life to steer young people who may idealist and glamorise the criminal lifestyle towards a more fulfilling existence. He conveys the brutality of prison life through presentations he takes to youth clubs, schools, colleges and, most recently, a naval college, during which an "inmate" sits locked in a mocked-up cell on a stage while Young hammers home what prison is really like. Hopefully this meeting will allow us to discuss the posibility of implementing the LACES program within the Borough of Greenwich, specifically targeting youth offenders. Approx 30 participants. The small group dynamic gives some students the confidence to ask things they would never usually ask in a much bigger forum which helps them get the most out of the session. This is also another 'New' contact for LACES through word of mouth. In this session we had an audience of over 250 students for a total of 4 hours throughout the day. 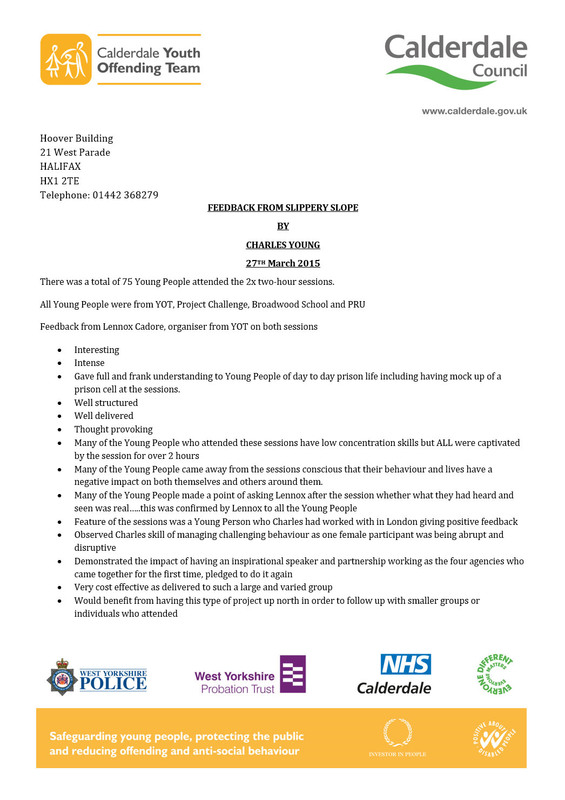 LACES took guest speakers including a female ex offender and a friend who although as a young person he was on a downward spiral, has pulled himself free and is now his own boss. He explains that you can always be successful but it takes hard work and determination to succeed. A group of to 15 young adults who sat, listened and participated for 2 hours in the first LACES session - A Slippery Slope. After lunch we returned for another hour and a half with a Q & A session. Pupils were particularly fond of taking it in turns to sit in the cell and experience 'Real Prison Time'. 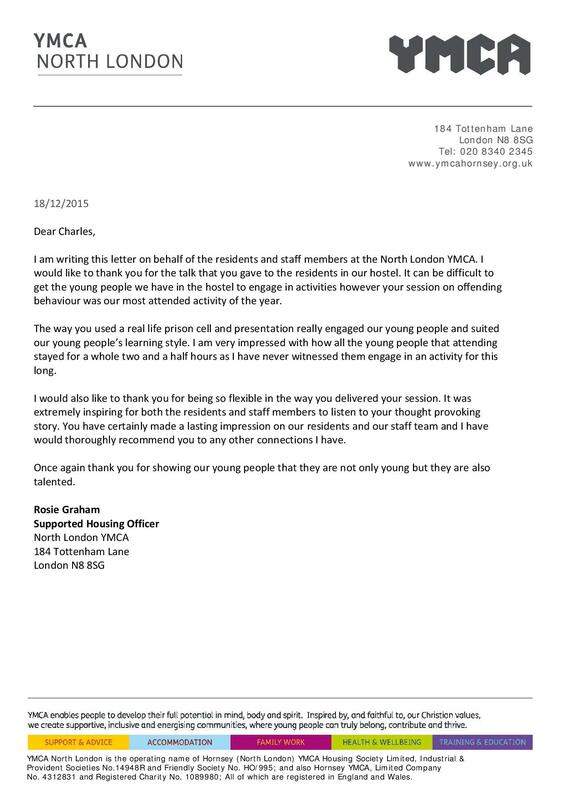 Below are some examples of the amazing feedback received after sessions by us here at LACES. We are fortunate enough to have been featured in many web, press and print articles. LACES also has active YouTube, Facebook and Twitter accounts. If you would like to follow us for up to date information please use the links at the bottom of the page. University of West London Law Students Get First-Hand Account of Life Behind Bars.